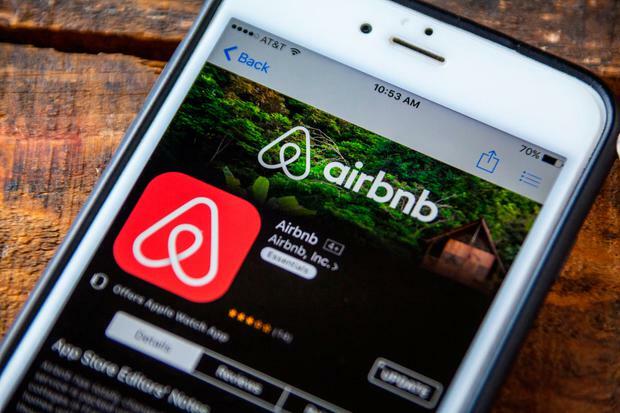 Property owners in certain areas are facing a clampdown on the use of sites like Airbnb to cash in on short-term lets on a long-term basis. Long-awaited legislation has been held up by an internal row between Housing Minister Eoghan Murphy and Transport Minister Shane Ross over which department should take the lead on drafting new laws to regulate the sector. However, Mr Murphy is expected to bring a memo on the much-delayed plans to Cabinet in the coming weeks and expects to outline his proposals next week. Among the new rules will be a clampdown on Airbnb lets in rent pressure zones - there are 21 rent pressure zones around the country. Taoiseach Leo Varadkar said he has been verbally briefed on the plans and said legislation will be before the Dáil in the next couple of weeks. "It'll involve restricting the use of apartments and homes in rent pressure zones for short-term lettings like Airbnb," Mr Varadkar said. "It'll still be possible, of course for people to rent out a room in their house on a short-term basis, but you couldn't be using an apartment or house that you own for long-term Airbnb... and those apartments should be released into the market for people to let them to people who live in Ireland rather than people who are visiting." Mr Murphy said he is a "fan of home sharing", but said it cannot be allowed to happen in an "unfettered way". The Housing Minister has pledged a two-pronged approach to regulate the sector. "What we will be talking about is potentially a two-stage process whereby in the near and immediate term we go to make a change that will have a substantial outcome in terms of getting short-terms back into the long-term market, but then also moving to a point after that where we can have a proper understanding of what is happening in terms of licensing, regulation and everything else," he said. A timeline for the laws will be announced next week in order to allow people time to adjust to the new regime, Mr Murphy said.